Unfortunately GitSentry is no longer active. 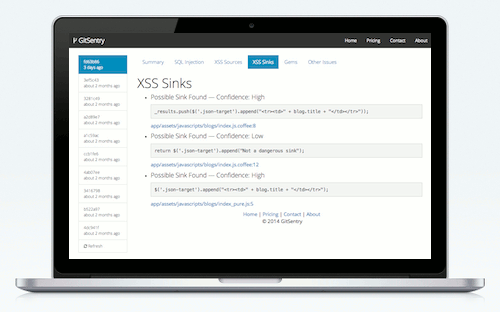 GitSentry runs directly against your code, which provides two key benefits: it doesn't require deployment to a special environment for testing, and it can detect problems before any code is deployed. We're always open to feedback, questions, and just saying hey. You can reach us by email at questions@gitsentry.com or hit us up on twitter @GitSentry. We'll let you know about private beta testing, new features, and launch dates for our paid service.